So the first project I have on needles this year is a hat for my son. I knit one for him for Christmas, but it was too small (epic mom fail), so now its my hat. The pattern was supposed to fit a man size head! I guess he just has a big head. I have more of the same yarn, so I’m trying a pattern that is similar but I can already tell it has a better chance of fitting his head. Its the hat fit for a boyfriend pattern. 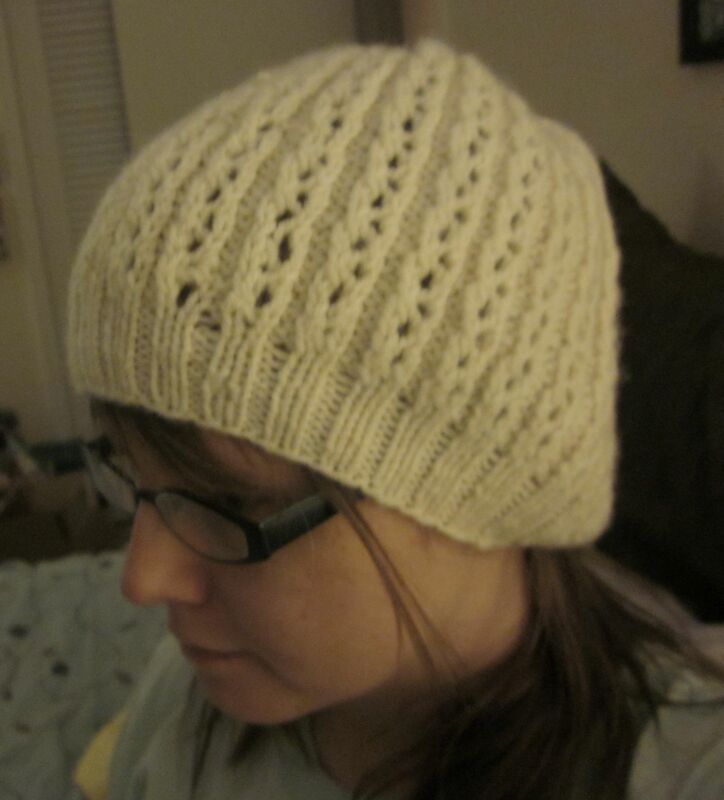 Simple and uncomplicated, quick to knit if I were inclined to knit faster. I got the pattern idea from Karin over at iknit2purl2. She did several over Christmas and it looked like a good hat to knit. I can’t knit much else for the boy. He doesn’t like scarves or sweaters. I haven’t given sock knitting a try, but unless they were plain and white, I don’t think he’d like any socks I knit. Teenagers, seriously. I’m thinking about casting on for herbivore. Its not exactly in my January knitting plans of cold weather accessories, but there’s a twit-a-long for it, and that would be kind of fun. I’m starting to feel like I’d be too far behind, but I might cast it on anyway and see where I get. It would be a good stash bust project. I did end up taking Amelia off of the needles. I’ll start it over in a smaller size. It was definitely going to be way too big, so I’m kind of glad I stalled on it. It will be nice to have a sweater that fits. I’ve got a bunch of cardigans lined up that I want to do, and I have the yarn for a lot too. Happy 2011 to you! 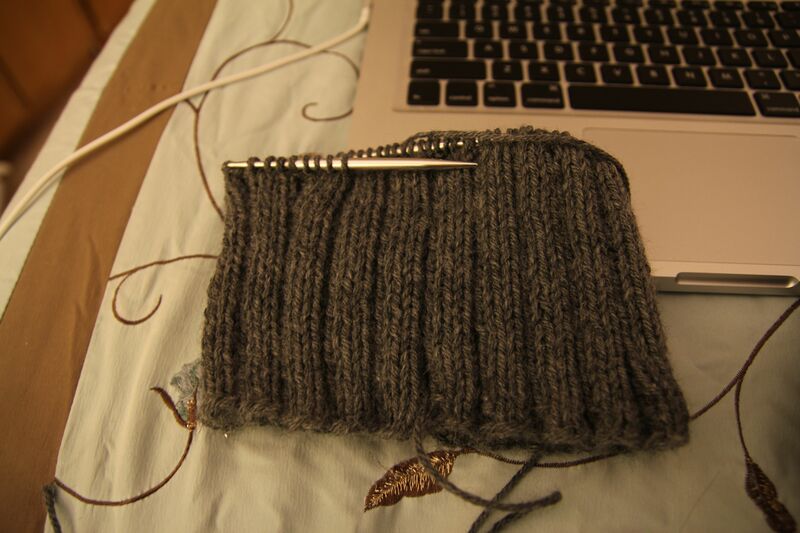 I actually did manage to get Guernsey Wrap off of the needles by midnight last night, and then I was fast asleep. I need to take a picture of it against a white background so you can see the true color. 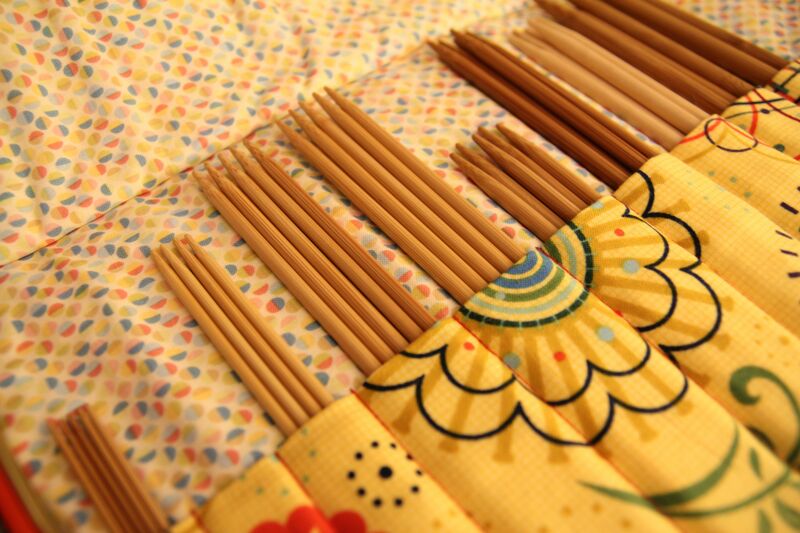 I’m not making any knitting related resolutions because I’m not big on resolutions. Plus I know if I make one I will no doubt break it and disappoint myself. I will try to stick to the not buying yarn idea though. We’ll see how well THAT goes. One thing I do want to do is find a hat pattern that will fit my sons large head. I should do that this month. I’ve decided January is going to be winter accessories month-mittens, hats, scarves, cowls. I’ll decide what to do with them as I go. I’ve got a couple of mitten patterns picked out already. I don’t have a real urge to cast on right now though, probably because I just finished one semi-large project. Plus I’ve got to take Christmas down too (I know, right?). Happy knitting everyone (and crocheting. Why do I forget that?)! What was that I said about Guernsey Wrap last week? That I’d have it finished within a week? Oh yeah. That didn’t happen. 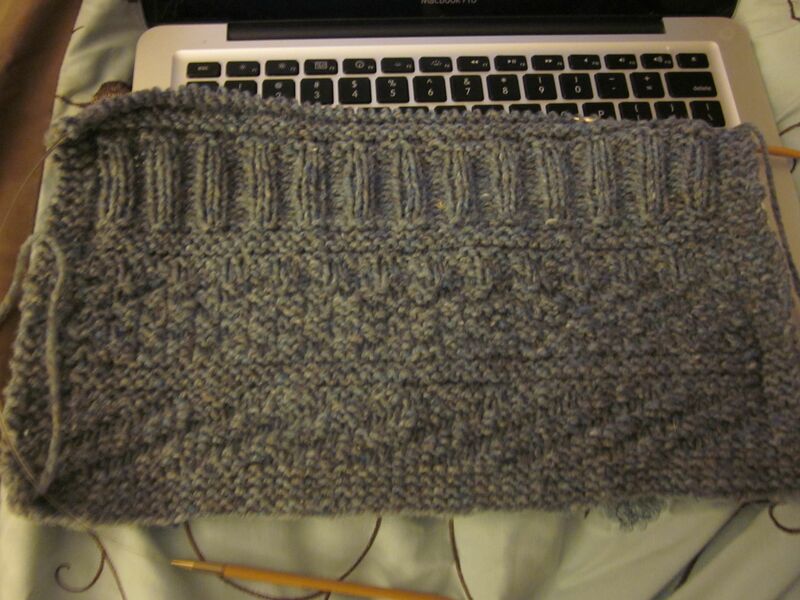 I am over half finished with it though (and it’s not as gray as the picture makes it look). It will be done by the end of the year for sure (since that’s only a few days away). Then I have to figure out how I’m going to block it since I don’t have any blocking wires. Guess I just might have to get some. Maybe the LYS has them. There’s a mitten KAL in January on Ravelry, but I’m not really liking the pattern they picked, so I may have a mitten and hat month of my own, because I’ve got a couple of mitten patterns I want to try and there are always hats. Always. I’m trying very hard to not buy any new yarn. I have so much piled up for projects already, I don’t need to get more until I complete a major project or three. I should make “not buying yarn” a resolution, but I know I’d break it! As is, I need to get something new to store yarn in. You’d think not having anywhere to put it would slow me down, but it doesn’t. I just keep piling it up, or storing it in the closet. Well readers, I hope you have a fabulous New Year celebration, and of course a fabulous 2011. If I don’t get my stuff together I’ll be spending New Years eve finishing my wrap! Not that it would be a bad way to spend the night. I ended up frogging Otto the bear. I think I was working on it when I was too tired, but I made a complete mess and just got more frustrated than I need to be right now. 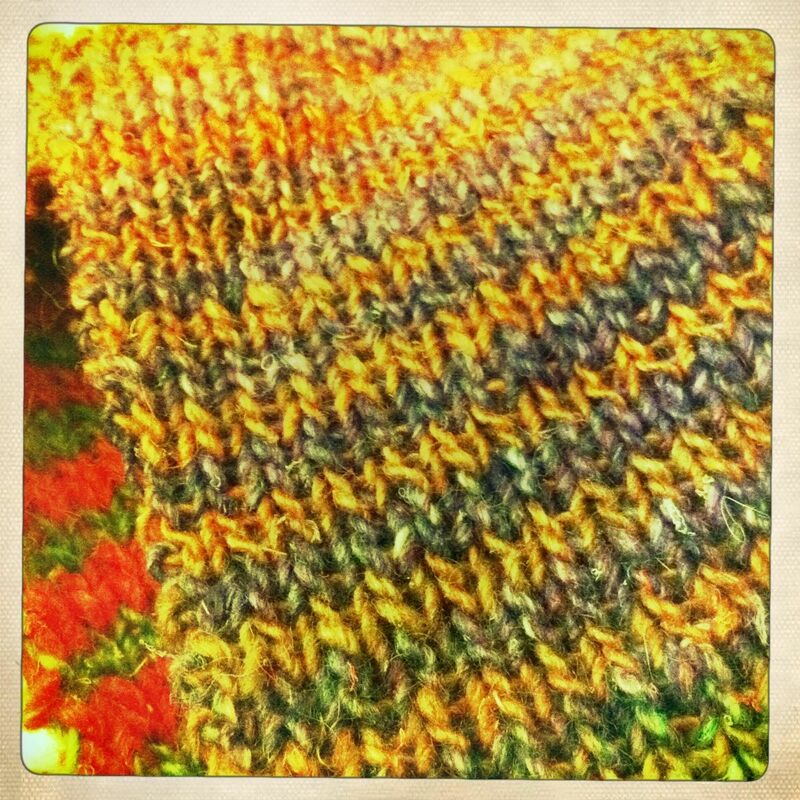 I did finish up my Noro stripped scarf. It turned out interesting. The colors are wild. I’l have to post a picture of it next time. I received my order of SHELTER and got started on the Guernsey Wrap. I love the color and how its turning out. I’ve gotten a bit further than the picture since I took it. There’s a lot of pattern repeat, but so far I love it. I love the texture the stitch patterns give it. I think it will be very cozy for wrapping around my shoulders on a cold evening, or day. I’m really liking working with SHELTER too. Its a nice, sturdy yarn. Doesn’t split, and the color is yummy. If you’re thinking about giving it a try, I say go for it! I haven’t thought too far into my knitting future past the Guernsey wrap. I’m anticipating with normal knitting time that it will probably take me this week at least to finish it. I could be wrong though. I think I’ll end up doing something simple like a hat, and some mittens. Yes, Amelia needs to be finished, and I think I should do that before I start on one of the other many cardigans I want to knit. Ohh, and then there’s still cinder to be done. My mind is keeping me awake so I’ve been up doing this and that. I finished decorating my tree, threw towels in the laundry, and I’e been working on my Noro stripped scarf. Its coming along nicely. I should have thought the colors out a little more I think, because in some places its rather muddled. But the current combination of yarns are striping beautifully. I should have it done in a day or so, just in time for more cold (for Florida) weather. I ordered some Shelter fro Brooklyn Tweed. I can’t wait for it to get here! I’m dying to see what its like. Ill be knitting the Guernsey Wrap with it. The pattern looks simple enough, just possibly time consuming. Madelinetosh just released a new cardigan pattern called Fall Away Cardigan. I really love the shape of it. I love cardigans to begin with, and this one is so much different than I any other pattern I have. Plus its done in Pashmina, which is lovely. I’m getting frustrated with Otto. There’s a part of me that just wants to throw him in the trash. Its boring and doesn’t look very attractive right now. Knitting is supposed to make me happy, but this isn’t. Of course with my life circumstances right now (read my personal blog if you want to know) I shouldn’t be surprised that I’m not happy and it feels like a massive fail. I finally got the second set of Hiya Hiya’s with the larger sizes. Now I feel a little less restricted, and will be able to find a 16″ size 10 when I need it. As if frustration with Otto wasn’t enough, I’m obsessing about what to do for my next project. 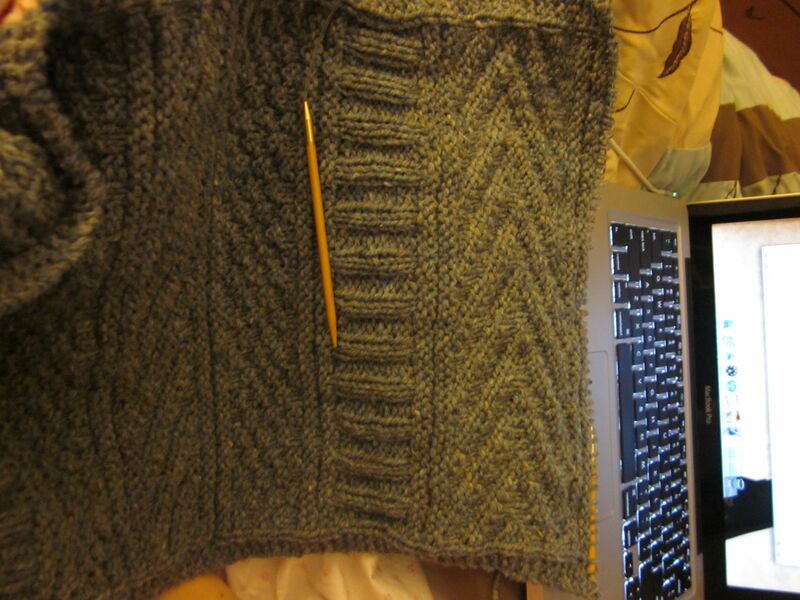 Right now a warm sweater seems like a good idea, but I may not even finish it before the weather warms up again. Whatever it is, it needs to be a stashbuster.